Supply55 will be exhibiting at the International Converting Expo April 9 – 11, 2019, booth 748. Stop by our booth to learn more about NEPATA Converting Equipment and the NEPATA UA1650 ADWS Converting Center on exhibit at the show. 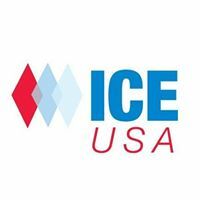 CLICK HERE for your free registration to the ICE Expo, please use free code ICE1901 when registering for the event. If you are interested in learning more about NEPATA converting equipment visit www.convertingcenters.com. For additional information on the full family of Supply55 products visit our website at www.supply55.com or call Supply55, Inc. at 734-668-0755.